J2003C says: This is the best, and only, 1 block game in the GBC. 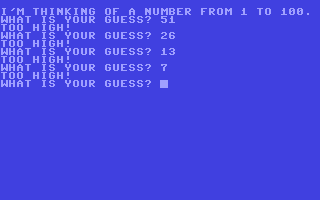 You'll try to guess the number, then try to guess why in the world you ever loaded this game! Neo-Rio says: This game is trippy... you are this transforming creature which has to complete a test. Great gameplay, weird creatures, strange 3D, and bizarre SFX make a unique experience. 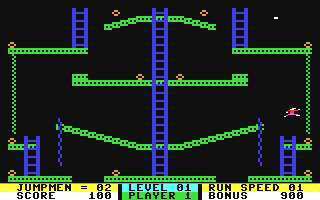 Neo-Rio says: Sequel to Jumpman, but with fewer levels all in a single load. Not an easy game by a long stretch, and will frustrate and challenge you to no end. 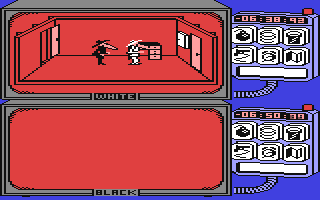 Neo-Rio says: Classic game, first of a trilogy of like-minded games featuring MAD magazine's characters. 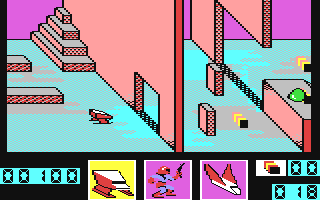 Controls are a bit tricky, but once mastered it's a blast (literally) to outsmart your opponent with deadly traps. J2003C says: This game CAN be played 2P with the 2nd player as the turrent controller on keyboard. Either way, the variety of weapons and enemies make this a very enjoyable shooter! 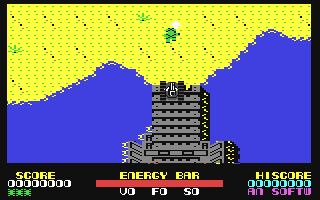 graveyardjohn says: A great racer for the C64, only 2nd to Turbocharge. Good graphics, great Jeroen Tel title theme, and it beats the previous US Gold version of Out Run hands down. 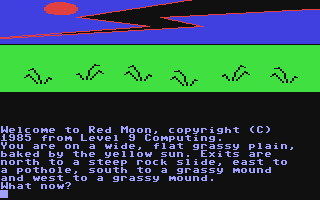 Neo-Rio says: Red Moon is not your typical adventure game. It's part RPG as well, and it's also massively huge and detailed. It was hailed for its greatness back in the day. 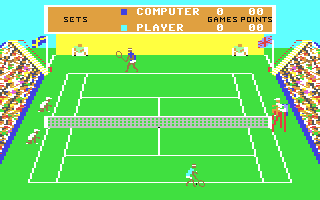 Neo-Rio says: Despite its age, this is one of the most playable tennis games on the C64 in my opinion. Many hours spent trying to beat my brother at it. Neo-Rio says: This game is not for the impatient, cause the map and game is very big indeed. 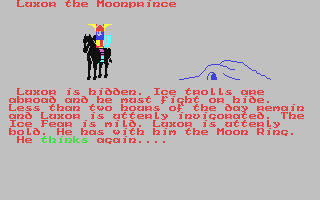 It's a classic graphical adventure game, and if you have the patience you'll find this game rewarding.